I've had the last five days off from work and it has been great. I haven't gone very far from home, but I have gotten together with friends and managed to get some of those to dos for the house crossed off- like shampooing the carpets and washing down the whole inside of the refrigerator. (You'd be surprised what can hide out in the crisper drawers.) 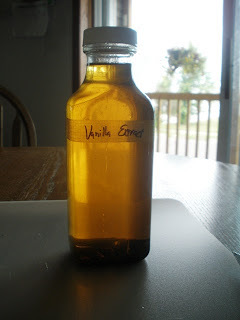 Anyhow, I was rearranging my cupboards and noticed I was running low on vanilla extract. 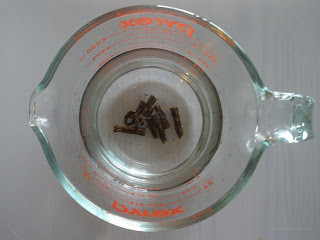 Vanilla extract is super easy to make. All you need is vanilla beans, a cutting board, and knife, and a bottle of vodka. 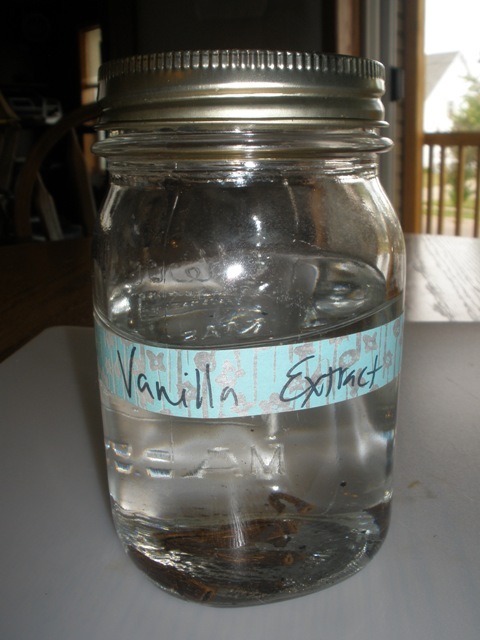 Vanilla beans from the grocery store are pretty pricey, so I buy mine online. 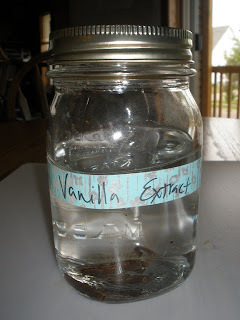 The last batch I bought were Tahitian vanilla beans that came from Tiny Homestead on Etsy, but I see her shop is currently on vacation. There are other sellers though. So check out their feedback and pick one you trust. My beans arrived fast and well packed and with storage and usage instructions. The key is to keep them securely wrapped up to keep them dry and away from moisture. So, you just gather your supplies. 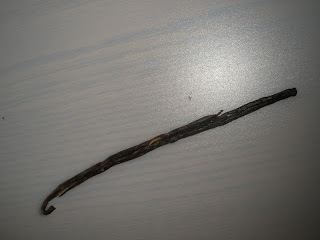 First step is to slice open you vanilla bean long ways. You should see a ton of black vanilla bean seeds. This is what flavors your base. Then chop up your bean into smaller pieces. 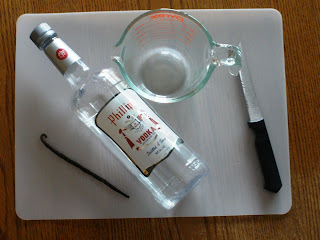 Throw your beans in a jar or a measuring cup and add vodka. I usually use a ratio of one bean per cup of vodka. Give it a stir and pour into your storage container. I've found that a pint canning jar works well. I label it with a piece of washi tape so I know when I made it. Then you just store it in the back of your cupboard for a few months. The longer it sits, the stronger the vanilla flavor will be. Also, give it a shake every so often. I usually like to let it sit six months, just because that's how long it takes me to use up the previous match. When my little bottle in my baking cupboard is low, I refill it and am good to go. After sitting for that long, the extract usually has a caramel color to. You should be able to start using it within two months. It just gets a stronger taste the long it ages. You can also use rum instead of vodka. I haven't tried that, but I hear it's good.